Upon arrival in Bangkok and transfer to your hotel for check-in. Breakfast at hotel. Travelling through many of the constrasting areas of this metropolis of more than 8 millions habitants. Stops are made at the temple of “ Wat Pho” where we can find the biggest reclining buddha. Then visit the ensemble of Royal Grand Palace of the present chackrie dynasty, the most luxury compound architecture from 18th century ; Former home of the royal family of the kingdom of Thailand, as well as the royal temple or locally known as “ Wat Pra Kaew ” with its famous image of lord buddha, fashioned from one piece of jade. After lunch, Canal tour, ride along tiny canals of Chao Praya River then Thonburi (venice oriental) lined with picturesque houses, farms and openfronted shops with colorful life. A stop is also made at another Bangkok’s most interesting temple “ Wat Arun ” the Temple of Dawn on the bank of Chao- Praya. Enjoy a sumptuous dinner of authentic style, specialities a show of classical and folk dancing music, the glittering and exotic costumes. After dinner, enjoy Bangkok by night by bus passing “ Patpong ” ,the most famous area of nightlife of Bangkok. Return to hotel. The most famous floating market is damnoen saduak, about 110 kilometers southwest of Bangkok. It is a “must-see” destination, with hundreds of boats crowd the market area. This buzzing market is at its best in the early morning before the crowds arrive and the heat of the day builds up. Take a short trip by long-tailed boat to the floating market, which offers plenty of photo opportunities. Witness a numerous number of boats on the river, most of them are paddled by women with picturesque straw hats. Visitors can find everything from vegetables and fruits to freshly-cooked noodle and souvenirs at this lively market. Then we drive to Kanchanaburi (or River Kwai), about 1.30 hours transfer. After lunch, visit Kanchanaburi. Fascinating, nostalgic and memorable sums up this day tour to Kanchanaburi provinces. The famous bridge and the beginning of the ‘Death Railway’ is a poignant reminder of the thousands of pow’s and forced laborers who lost their lives in the Second World War during the construction works of the railway. Pay a visit to the War Cemetery, the Thailand-Burma Railway Museum, and the world famous bridge over the River Kwai. Depart to elephant camps, you will be amazed by their strength and clever team work and enjoy 1/2 hour ride on their back exciting up & down hills through the jungle like the tarzan and jane. An experience that you can not miss. Then boat trip along River Kwai, the atmosphere is comfortable and romantic with music and pass a number of remarkable nature along the River Kwai. Then board a local train for the thrilling ride across wooden viaducts, which offers fantastic scenery along the Kwai River. Bus back to Bangkok in the afternoon. After breakfast, take domestic flight to Chiang Mai. TQ104(1030/1140) Visit the Chiang Mai National Museum and Wat Phrathat Doi Suthep. The city of Chiang Mai has a wealth of beautiful and historic buddhist wats (temples). Drive up the mountain's winding road, the final climb to the site is up a magnificent naga (dragon-headed serpent) staircase of 306 steps. This afternoon, visit the local handicraft villages. On this tour, a visit is made to the Sankampaeng district, heart of the silk and cotton home industries, to witness the fascinating process of making and weaving these popular fabrics. Visit the Mae Taman elephant camp; First to see the show, then ride elephants across the Mae Taeng River and up the hill. Then return by oxcart to the elephant village where lunch will be served. From here, the rafting adventure starts along the unspoiled Mae Taeng river. Continue to the Orchid Farm, to view the many beautiful species of orchid. 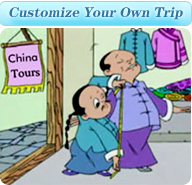 Or opt to visit the special long-neck village.